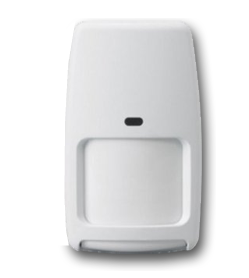 Signal Secure offers a wide variety of Motion Sensors to meet virtually any home or commercial need! With wired and wireless options for the interior or exterior of your home or office, you'll find the safety and protection you've been seeking for a great value! 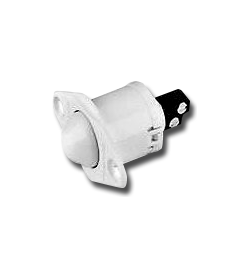 Our motion sensors include options such as Combo Microwave / PIR technologies to reduce the chances of a false alarm, as well as features such as hot/cold temperature alerts, pet immunity, uniform sensitivity optics - and they can range from 8 to 200 feet. 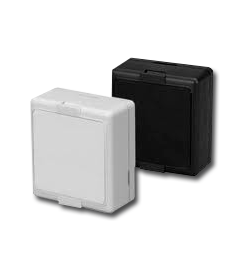 Integrate the motion sensors you need into your Signal Secure package for a customized, smart solution. Motion Sensors are an integral part of any solid and reliable security solution, In normal “Armed Mode” a motion sensor can provide redundant defense against an intrusion that occurred through defeating or bypassing a point in the perimeter defenses, but it is important to keep in mind that when you arm your system at night to “Stay Mode” it is convenient to have the motion detectors in an inactive state allowing freedom of movement throughout all or some of the home leaving the perimeter and door / window / glass break sensors active, considering this it is important to realize that the motion detector is a critical layer which is part of a larger whole, providing redundancy and specific functionality amongst the vital and complimentary layers of entry detection. 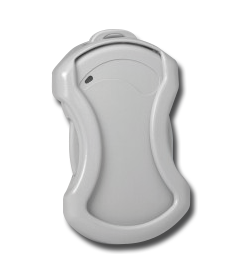 Rock-solid protection in a compact, sleek design! 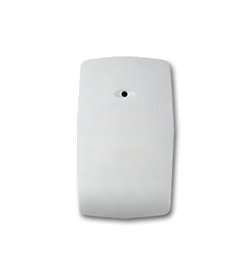 Signal Secure's advanced and discrete wireless technology takes door and window protection to a whole new level! 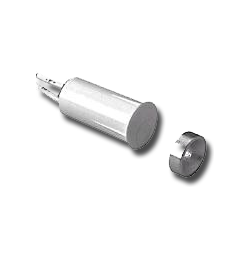 Our Door & Window Sensors offer impeccable performance and reliable convenience. 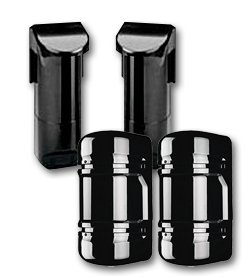 And with our versatile selection of compact and unobtrusive designs, you are sure to find a product that perfectly suits your home and security needs. A crucial component of any security system is the door and window sensors, which allow you to monitor your home where it is most vulnerable to intrusion. 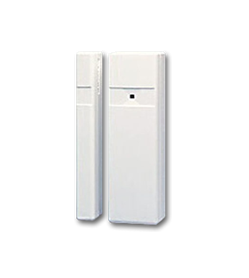 We can program your Signal Secure system to send you an alert when a sensor is tripped by an unexpected opening door. And if a camera is installed nearby, you can capture video footage of the event to view live or at a later time. Secure your doors and windows with tamper-proof Glass break technology. Be the first to know! Whether your window breaks from a neighbor's wild soccer ball or a break-in attempt, Signal Secure's Glass Break and Shock Sensors can detect the impact the instant it occurs and alert you on your phone or other universal device. 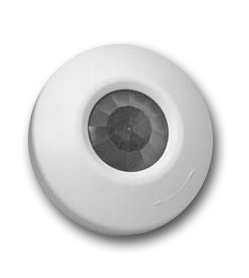 With false alarm immunity, these sensors have a range of up to 25 feet in all directions, on any type of glass surface (plate, tempered, double-pane, etc). Make sure you include a layer of Glassbreak Protection technology in your customized security solution for an incredible value! 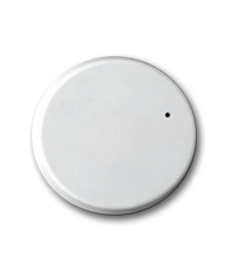 A glass break sensor is a unique and important part of any Interior security system layout. It is designed to respond to the exact sound frequency range of several different specific types of glass breaking. In addition to contact sensors on doors and windows, Glass break sensors play an important role in protecting you and your family in case of a break-in attempt. Glass Break Sensors never get turned off, they are never put into an inactive mode, they will always be ready and listening for the smallest hint of broken glass anywhere around your home. Get all the important updates...from your enlightened home. 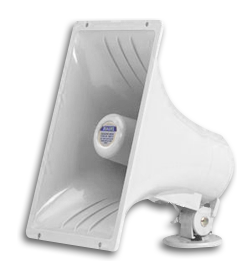 Stay alert and informed with Signal Secure's Wired or Wireless Sirens. You can customize the yelp and steady siren tones, or even record your own voice alerts. Our sirens allow multiple custom announcements for security alerts, access control, amusement messages, equipment warnings, etc. 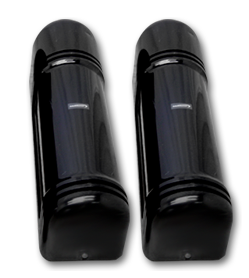 Include the siren of your choice in your cost-effective, customized Signal Secure package. Sirens are an important add-on to your intelligent security solution. A siren can play several important roles in a security event, they can help to frighten a burglar, they can assist police in finding your home after an activation, they can even be combined with Strobe Lights to create as much attention in an emergency situation as possible. 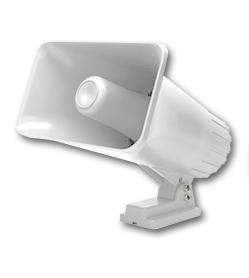 For the maximum attention factor, combine a siren and a strobe light facing towards the roadside of your property. In the event of an intrusion detection you will receive audible and visual alerts that can be seen and heard from a great distance outside . 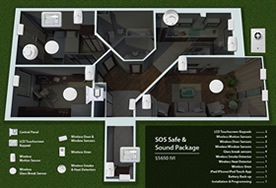 A combination of light and sound is extremely effective in drawing attention, A thief is very aware of this and will try to avoid an alarm activation in favor of another unprotected house. Replace bars and barbed wire with a true digital fortress. Signal Secure's laser fencing protects the perimeter of your home with sophisticated, world-class technology at an incredible value. The active infrared photoelectric beams can detect movement up to 800 feet, and are intelligent enough to bypass false alarms caused by fog, animals, or rain. It's invisible, proactive, and just plain smart. A well planned home security system does not just let you know after someone has gained access to your home, it begins on the outermost perimeter of your property and can detect intruders before they become a real threat. When a perimeter defense is activated you can trigger secondary events that will act as a strong deterrent to would be thieves. We recommend flooding the area with light, also having video surveillance clearly visible will show would be crooks you are not playing around. 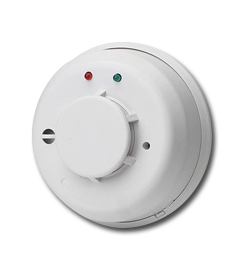 Short duration chirping of the alarm sirens is generally sufficient to prevent any further crossing of your property, or getting any closer to your home. And with video evidence of the potential bugler you can inform the authorities before another person is put in danger. Take care of what matters most, even if you're far away. When it comes to the safety of your family, you simply cannot rely on outdated technology. Eliminate worry, and save time and money by investing in a quality product that won't let you down, from a trusted company you can count on. Monitor your nanny or housekeeper from your iPhone with discrete video surveillance, adjust the settings in your child's room at night, and communicate with your child with 2-way monitors. Keep a loving eye on your elderly parents from afar with sophisticated video/audio surveillance, and equip them with a reliable, user-friendly emergency response system that will give you peace of mind. When it comes to protecting your family, technology can be a great partner. Other then you being available and at home 24/7, there is not a more vigilant companion and protector then a single button push connection to either you, our call center, authorities, neighbors or anyone else you may need to notify in a hurry. 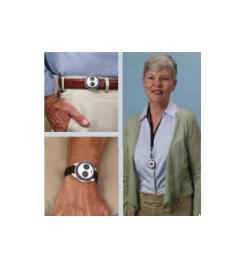 Emergency pendants can give an elderly parent their freedom, a child a means of contacting you immediately at any time, and another form of defense against intrusion by allowing you to notify someone of an emergency whether your alarm system is active or disarmed. Our pedants are designed to be worn on the wrist, around the neck, or attached to a belt to accommodate everyones comfort zones. 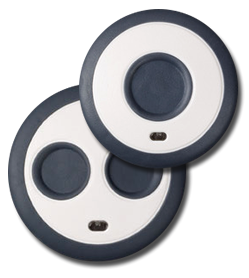 If you're looking for an asset protection sensor that is ALWAYS on guard, Signal Secure has just what you need. Our Wireless Anti-Theft Asset Protection Technology will remain dormant until movement is detected, securing any residential or commercial possessions. And with our flexible system, you can receive all security alerts to any mobile device, email, and through traditional siren alerts. Armed Security Systems are very effective against protecting your home or business against intruders or criminals that would like to illegally enter your property and steal your possessions, but what about people that are allowed to be in your home or office ? A worker or other person that may be in your home with permission can be just as unethical as a person looking to break into your property. Asset protection sensors are armed all the time and can sense movement at different sensitivity levels to keep an unwavering eye on all your possessions 24/7 whether your alarm system is armed or not. Compliment your security system by adding a layer of constantly active asset protection technology to send you alerts via SMS, Email, a phone call or more traditional siren activation should someone attempt to move a protected piece of your property without your permission. Get alerted BEFORE disaster strikes! Don't wait for the fire department to call! With Signal Secure, your smart home will sound an audible siren or voice alert in the home, and/or send you an alert on your phone (or other universal device) the moment a sensor detects fast-rising temperatures, sudden high or low temperatures, smoke, carbon monoxide...or even when it's time to change the batteries. Stay alert, reduce false alarms, and save money when you include the Fire, Heat, and Carbon Monoxide Detectors in your custom Signal Secure Package. There are certainly things in this world that can rival the threat imposed by a human thief or criminal. Natural and accidental fire is one of the most dangerous threats imaginable and having an early warning can mean the difference between life and death. Many fatalities in a fire situation are not caused by actual fire, but the smoke and chemicals caused by them, long before temperature change or visible signs are apparent. If a fire occurs while you are asleep or out of the home, a proper detection system can mean the difference between a life or death situation, and certainly limit the extent of property damage that can occur. Consult out experts on designing in the proper sensors to keep you your family and your property safe against the devastating effects of a home fire. Activate your home with a push of a button. 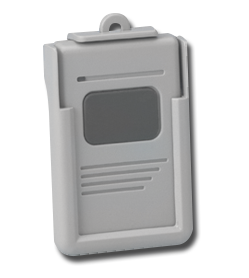 Make your home come alive with a Signal Secure KeyFob! 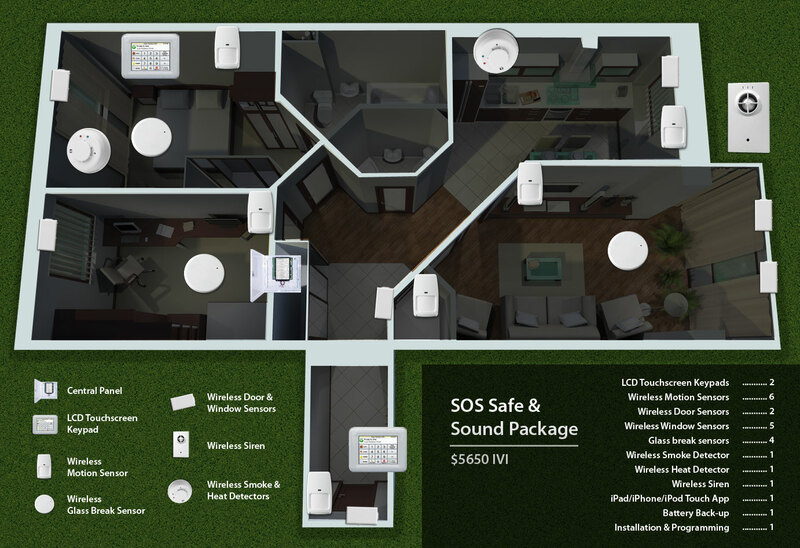 Featuring remote activation of lights, audio/visual, appliances, garage doors, and more. 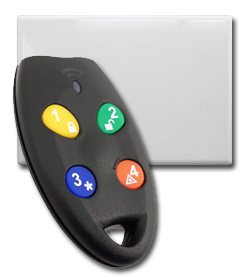 Signal Secure KeyFobs offer ultimate flexibility and are compatible with most security and home automation products. Signal Secure offers a flexible and convenient way to automate some of your most common tasks. Turn on / off certain groups of lighting in your home or business. Arm / Disarm your security system, open your gate or garage, Start the Jacuzzi to your favorite temperature, turn on the music and lighting on the patio for a pool party, all from the push of a button on a key fob that can accompany or replace the one you currently carry on your keychain. Now thats convenience and added value. Prevent water damage before it occurs! Signal Secure technology can detect leaks early on and automatically shut off your water supply so you don't have to deal with costly water damage. 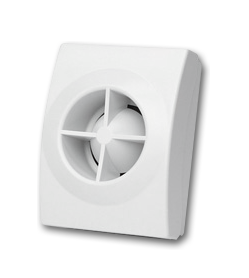 Our experienced installers will place these perceptive sensors near washing machines, kitchens, sump pumps, and anywhere flooding is possible. 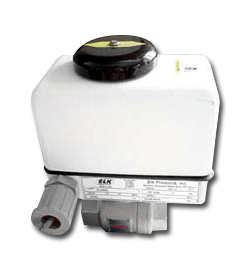 Include Leak Detection in your custom Signal Secure Package, and save yourself the money, time, and hassle of repairing your home after water damage! Peace of mind is what Signal Secure does.. Imagine you fill your washing machine and go out for a jog, this is a nice way to start your morning, but what if there is a problem with your machine or hot water heater and a leak occurs damaging the entire first floor of your home, that is not a great way to return home from an exercise session. With a few components you can be sure that this situation becomes one you will never need to think about, as with Signal Secure's Water leak sensor and Valve control modules you can feel confident that if a leak does start the main water valve will be shut before any chance of damage becomes reality.